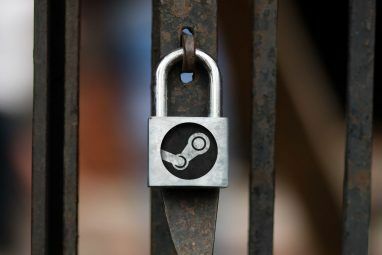 Steam is the standard way of playing games on your PC, but the company offers ways to play elsewhere too. Notably, the Steam Link device lets you stream games from your PC to your TV. As another option, Valve introduced a Steam Link app for Android in 2018. 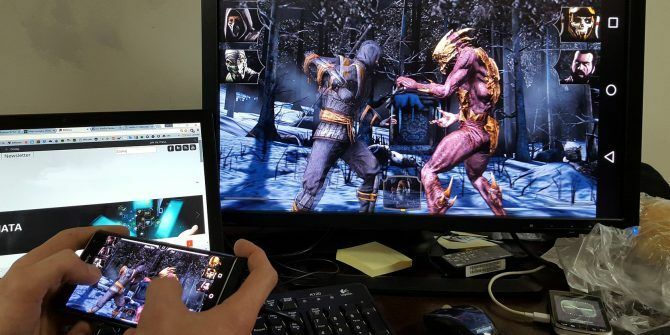 While having the ability to play PC games on your smartphone sounds exciting, we don’t think it’s as great as it sounds. Here’s why. The Steam Link is a physical device that Valve sells for $50. It connects to your TV via HDMI and your home network via Ethernet or Wi-Fi, then streams Steam games from your PC to a TV. It’s handy if you want to play games from the comfort of your couch; we’ve previously shown you how to set up the Steam Link How to Set Up Your Steam Link for PC Gaming on Your TV How to Set Up Your Steam Link for PC Gaming on Your TV The Steam Link lets you stream your PC games to a TV for a better gaming experience. Here's everything you need to know to set up your new Steam Link. Read More if you have one. The Steam Link App performs basically the same function, except it’s free. All you need is a PC running Steam, a compatible Android phone, and an internet connection. Notably, the app is not available for iOS due to Apple’s guidelines. Presumably, you have a monitor that’s at least 20 inches for your desktop. And if you play on a laptop, you might have a 13-inch or 15-inch display. With the Steam Link, you’ll get to experience the same games on a tiny 6-inch (or smaller) phone screen. That doesn’t sound like fun. The best Android games take advantage of the smaller displays of phones, but playing PC games on your phone doesn’t give you this luxury. While most games should look decent, there’s a fair graphical downgrade involved here. It’s a bit like watching a movie on a tiny airplane seat screen; it’s doable, but not the ideal way to enjoy a movie. This isn’t an issue with the proper Steam Link, as that connects to your 40-inch-plus TV. You could use the Steam Link app on an Android tablet for a larger display, of course. But tablets aren’t as popular as they once were, so that’s a several-hundred dollar expense just to play games on another device if you don’t already own a tablet. Most PC gamers swear by keyboard and mouse controls. They’re objectively better for first-person shooters, and also make sense for a lot of other genres. However, the Steam Link app doesn’t have support the keyboard and mouse combo. When you walk through setup, you can choose between the Steam Controller, another Bluetooth controller, or touch controls (more on that soon). 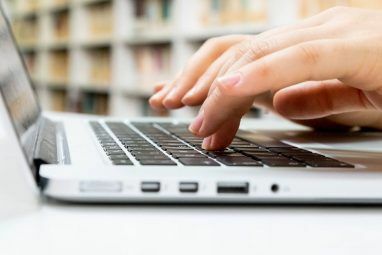 You’re welcome to try connecting a keyboard to your Android phone How to Connect a USB Keyboard to Your Android Phone How to Connect a USB Keyboard to Your Android Phone Ever wanted to use a real keyboard on your Android device? Lucky for you, it's actually pretty easy to set up. Read More , but that involves buying a clunky adapter. Plus, even if you got a keyboard and mouse connected to your phone, there’s still the issue of latency. Most games demand a high level of precision from your mouse, which won’t happen when you’re streaming games over a network. Plenty of games have controller support, so you should stick to those if you plan to use the Steam Link app. For some people, this will severely limit their library and the usefulness of the app. With something as precise as video games, it’s no surprise that the Steam Link app has a few requirements for your network connection. Your phone and PC must be on the same network, so there’s no playing on-the-go. Steam also recommends a wired connection, which isn’t possible on an Android phone or tablet. For wireless use, it recommends using a 5GHz network. While this has less congestion than a 2.4GHz network, it also has shorter range. This limits how far away from your router you can play games. If your PC isn’t already hard-wired into your network, you can basically forget about using this app. Perhaps you have a laptop with no Ethernet port or have to use Wi-Fi on your desktop due to your house’s setup. In either case, Steam Link will be near-unplayable due to lag. This will obviously vary based on your setup. But several potential issues mean that many people will find Steam Link unusable or unsatisfactory due to network concerns. Steam even says that powerline adapters (a common solution to Wi-Fi issues) can have issues with interference. We mentioned earlier that a lack of keyboard and mouse controls will likely sour the experience for many. Without these, your options are connecting a Bluetooth controller or using touch controls. If you already have the Steam controller or another Bluetooth-compatible controller, that’s great. (We’ve shown how to connect a PS3 controller to Android How to Connect a PS3 Controller to Your Android Phone or Tablet How to Connect a PS3 Controller to Your Android Phone or Tablet If you have an old PS3 controller laying around, connect it to your Android phone or tablet for an awesome mobile gaming experience. Read More if not). But if you don’t have one of these controllers, you’ll have to either spend some money on one or put up with touch controls. In case you’ve never tried them before, touch controls are terrible. They’re passable for slow-moving RPGs like Pokemon, but little else. Any game that uses more than a few buttons, or requires precise movement, will quickly grow old on touch controls. Plus, they clutter up the screen. What Do You Think of the Steam Link App? We don’t mean to dismiss the Steam Link app entirely here. It’s certainly a neat tool, and Valve making it available for free is awesome. However, it requires you to jump through several hoops to achieve gameplay that’s actually enjoyable, making it more trouble than it’s worth for most people. If you don’t have any extra peripherals and use a wireless connection, out of the box the Steam Link app provides a laggy gameplay experience on a small screen with bad controls. You’ll need to spend time and money to resolve this situation, at which point you’ll wonder if it was even worth it. Why not just play your games on your PC as they’re meant to be enjoyed? There you have a larger screen, proper controls, and lag-free gameplay. 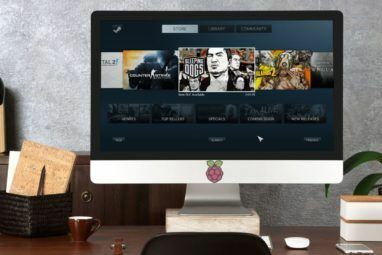 If you don’t like Steam Link, it might still be worth taking a look at these other ways to stream games from your PC to your TV 5 Ways to Stream Video Games From PC to TV 5 Ways to Stream Video Games From PC to TV There are a handful of ways to stream video games from your PC to your TV. In this article, we take a quick look at them all. Read More . Explore more about: Game Streaming, Steam, Steam Link. It's almost like Author hasn't heard of gaming-specific android devices like the GPD XD Plus, Or the fact you can configure kb/mouse behavior directly under steam's controller configurations. Not sure about point of article. What an unnecessary bummer of an article. I do wonder who this is aimed at: are you trying to convince people NOT to try a free game-streaming app? If so, why? All these points are stating the painfully obvious, and the idea that PC gamers 'swear by' mouse-and-keyboard is a pretty tired platitude these days. I was just looking for a subreddit where I could share my brilliant experience with the Steam Link Android app when I stumbled upon this. I got a PS4 controller mount for my phone (Nokia 6.1) and it's been an absolute joy to use. You do need a strong WiFi connection for it to work, and it's certainly better for some games than others, but I love how it (along with the Steam Link connected to my TV) has untethered my gaming from my PC. Had a good sesh on Resident Evil HD Remaster last night and it was perfect! Low input lag, and top-quality streaming (though I was using it in the same room as the router, and if you have Steam Link on your TV then you really should use an ethernet or homeplug connection where possible). Have you heard of Android TV boxes? I guess not. The author missed a thousand and one uses by assuming "phones only": tablets and set top devices don't cost hundreds, since everything nowadays has hardware h.264 decoding you don't exactly need a juggernaut device. I use it to stream games to a $35 Fire tablet (easily sideloaded, not rooted) so my kids can play $5 LEGO games on Steam - the PC is in my room and I'd rather they play in their room. Works just fine over 2.4ghz 802.11n with a DualShock controller. You could probably do the same with a Fire Stick in your TV. Thanks Valve, for providing the excellent app! I play platformers mostly on my phone. Ori is fun as heck, and with a phone clip attached to my steam controller via bluetooth, it like playing a gameboy. I dont think the author considered the app as just another option as much as the only option. Options are nice. Thanks Valve, and shame on Apple for pulling out last minute. Why i buy androids instead. I like the Steam Link app and hope it continues to improve as they continue the beta I'm playing it on my 6 inch Google pixel XL screen and that is, admittedly, a bit small. But getting a 10 inch tablet will make a big difference for me. And I've enjoyed playing Sleeping Dogs, even on the smaller screen. I don't usually play controller games (third person action games, sports games, casual puzzlers, etc) away from the computer anyway. Multiplayer shooters are best at the computer with K/M, IMO. You can use it over the internet by port forwarding two ports. It's not bad even over limited connection. The person who wrote this article clearly has no clue what he/she is talking about. Ever heard of people using Android TVs, Samsung DeX, EMUI Desktop, RemixOS, etc?????????? Steam Link is awesome. None of the things mentioned in this article makes sense. 1. You don't have to game on a small screen if you don't want to. Lots of Android devices have large screens. If you want you can even play on a 85" display. Nothing is stopping you from getting a bigger display for you Android Steam Link Gaming. 2. No you don't lose keyboard and mouse. Nothing is stopping you from connecting a keyboard and mouse to your Android device. Most Android devices support keyboard and mouse. 3. I've never had any connection issues. It works perfectly. I've tried it with ethernet and wireless. Both work great. I'm even playing in 4K resolution with beautiful quality. If you have network issues then you seriously need a network upgrade. 4. If you don't like touch controls then simply don't use them. They're not forcing you to use the touch controls. They have lots of different ways for you to play. I'll be honest, I don't use Steam Link on Android that much.